With an extensive range of veterinary services, Vet Cross clinics provide care for pets and animals of all sizes. 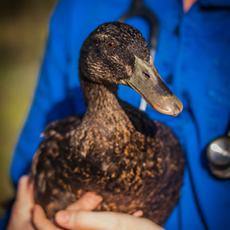 From domestic pets such as dogs and cats to working farm animals, our compassionate team of experts have the services you need to keep your pets and animals in top condition. 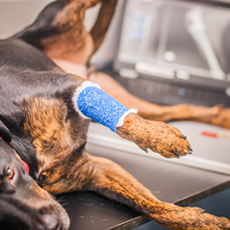 Animals frequently suffer injuries and illnesses outside of working hours, so we have a veterinarian on call 24 hours 7 days a week for emergency consultations. If you require an emergency consultation, call any of our clinic numbers and you will be put through to the veterinarian on call. After-hours charges will apply, with payment expected on the day. 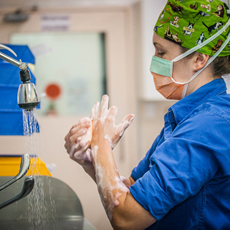 If your pet or animal requires surgery it will be performed by caring professional veterinarians in our purpose built surgical suite. Our operating theatre is dedicated, fully equipped and modern. It is a closed sterile area at all times. During surgery, personnel is restricted to the operating surgeons, the anesthetist and the nurse who constantly monitors the patient. Our state-of-the-art digital radiology equipment provides superior quality images within minutes. The fine quality of images show greater detail which in turn enhances reading and diagnosing. Images can be viewed anywhere in the clinic and can also be emailed immediately to other hospitals or specialists centres. We also offer ultrasound for imaging areas such as the abdomen, tendons ,and chest. Pregnancy ultrasounds can also be performed on dogs, cats, horses, cattle and alpacas with results immediately available. Does your pet or animal have a sore tooth or bad breath? We have up to date dental equipment for small animals and routinely perform dental procedures such as ultrasonic scale and polish of dirty teeth and tooth extractions of more severely affected teeth. 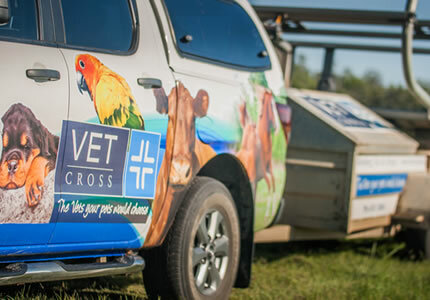 Vet Cross provides a wide range of medical and surgical services for horses on a out-patient on-farm basis. Whether routine, emergency or somewhere in-between, our vets aim to reach the best outcome for you and your equine friend. Service include: gelding, vaccinations, worming programs, wound management, evaluation of sore eyes, examination of sick and geriatric horses, sarcoid management and dermatology, freeze branding and more. 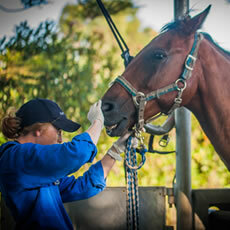 Dentistry is one of the most important preventative measures for maintaining the health and performance of your horse. 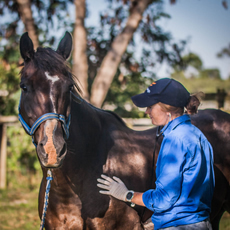 Our skilled and experienced vets use sedation, a mobile crush and advanced tools to maximise visualisation and allow efficient correction of dental issues with the least stress to your horse. 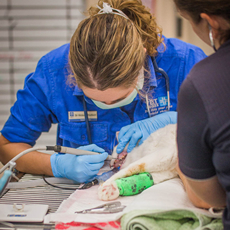 Our vets are passionate about providing a methodical diagnostic plan for getting to the cause of lamenesses. A lameness work-up typically involves localisation of the pain using trot ups and nerve blocking, followed by imaging 〈including mobile on-farm xrays or ultrasound as required〉. No matter the size of your herd, whether you farm professionally or as a hobby, Vet Cross can design a program to suit your cattle and your lifestyle. 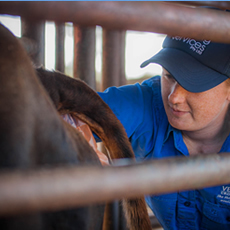 Our vets are continually updating their knowledge and skills in the cattle industry to maintain the high standards that are set at Vet Cross. We are happy to discuss annual vaccinations, parasite control, worm counting, nutritional and breeding protocols. Pregnancy detection is integral for herd management in any livestock operation whether you have a large herd or just a couple of head. It ensures that any sub-fertile cattle are identified and managed appropriately in a timely manner to ensure on-going production. The veterinarians at Vet Cross are fully qualified to test and advise you on your herd management and breeding programs. Our on farm service will also help you with your herd annual vaccinations, parasite control, worm counts and nutritional advice. Bull Testing is a reatively quick and economic procedure for screening bulls prior to selling and also for an indication of the potential breeding value of the bull. 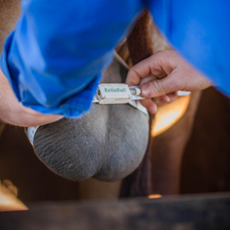 The on farm service we provide at Vet Cross is fully equipped to carry out this procedure with Dr Andrew Marland a NCPD accredited examiner and highly experienced in all cattle work. 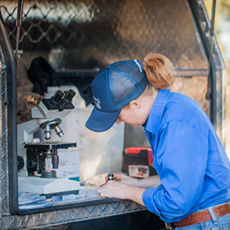 Several of our veterinarians are accredited with the Australian Cattle Veterinarians Association to formulate Johne's Biosecurity Plans through BioCheck. 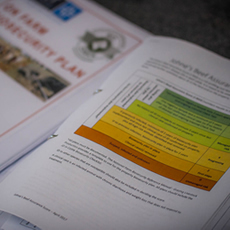 These plans ensure your farm management practices minimise the spread of infectious diseases on your farm and maximise market opportunities. Birds and pocket pets are particularly good at hiding the early signs of disease. By performing a physical exam, reviewing husbandry and doing basic lab work, we can help prevent problems instead of dealing with a serious condition in a severely compromised patient. Common screening lab work may involve obtaining a faecal, crop and/or blood sample. We are able to perform both preventative surgeries (e.g. desexing) and soft tissue/orthopaedic surgeries for our feathered and furry friends.